I anticipated a bit of a later start time this morning, but last night’s Disney magic propelled the children out of their beds bright and early. The little guy burst into my room to tell me about the snow outside his window and his dreams of flying Elsa. 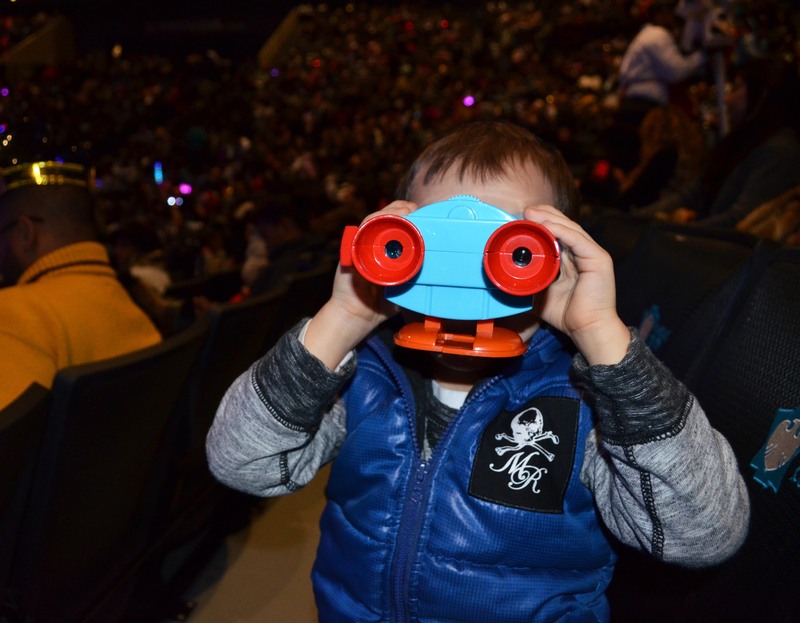 We’ve been beyond grateful to attend a few Disney On Ice productions with seats at various levels in the arena. 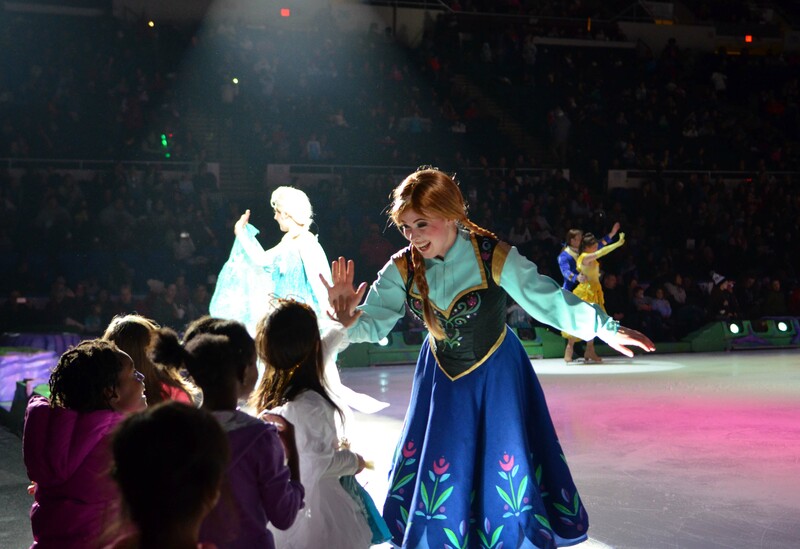 While they have all been incredible for the kids – our experience at Disney On Ice Presents Princesses & Heroes at Nassau Coliseum was elevated by our on-ground experience. With front row table seating, complete with dinner service, we were truly immersed in the spectacular ice show. It was our first time taking in a production of this caliber at such proximity. I didn’t anticipate how we’d be able to see and feel the depth of charisma and passion from the performers with such an up-close perspective. The intricate detailing of the costumes, synchronicity of spectacular skating, and special effects including fire and snow were mesmerizing. And my goodness – how those little faces lit up by the unexpected performer interactions. I’m certain that it’s the sort of magic that will be ingrained in our forever memories. 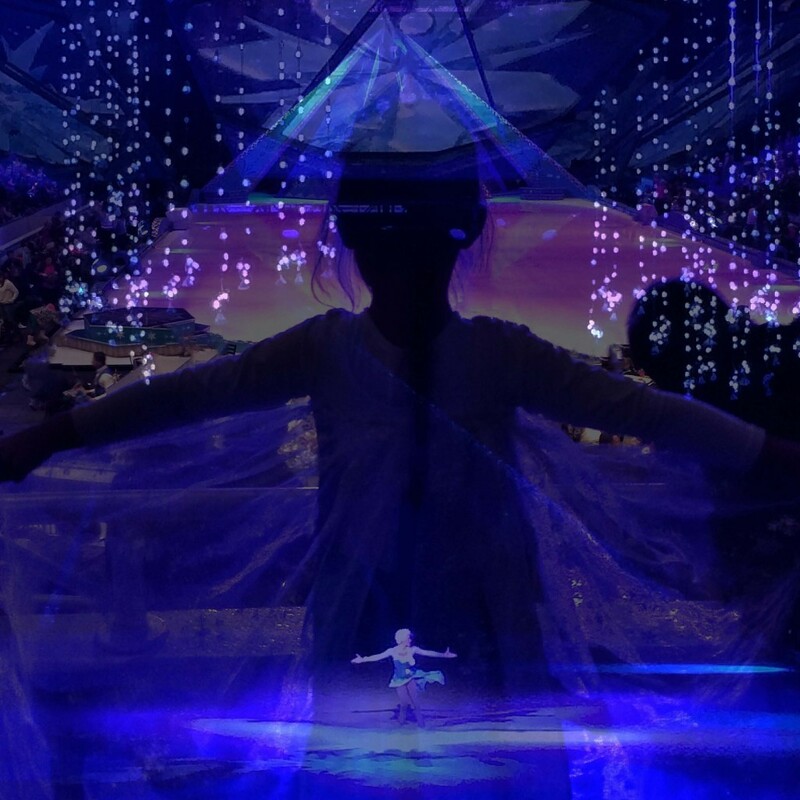 As in all things Disney – this production is a true celebration of children. And the incorporation of a ton of classic Disney characters makes it appealing to all sorts of Disney fans. Watching the songs from the kids’ soul-belting living-room-performances unfold steps away from their little eyes took my breath away. From the chorus of cheers for Olaf – to the collective singing of tulle-clad children belting their hearts out to Let It Go – we were all fully swept up in the magic. Thank goodness I remembered to bring the tissues. 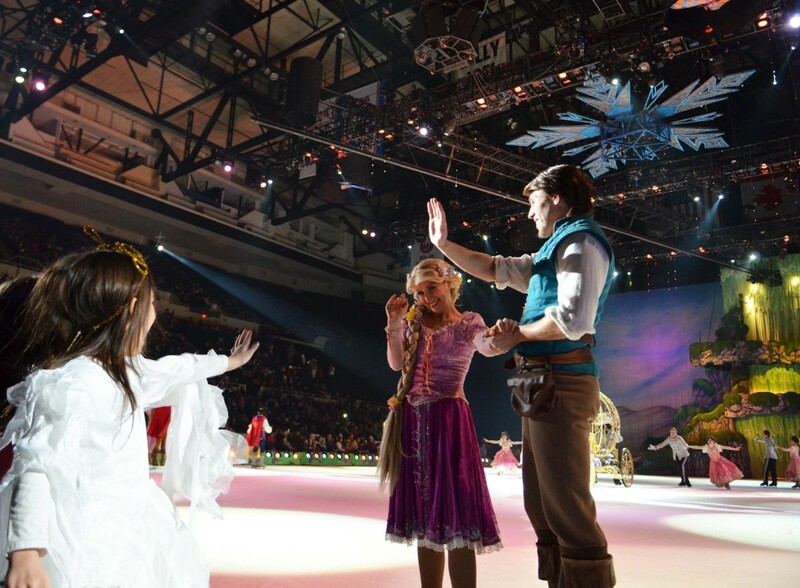 Catch Disney On Ice Presents Princesses & Heroes at Nassau Coliseum from Jan 8 through Jan 11th, 2014. 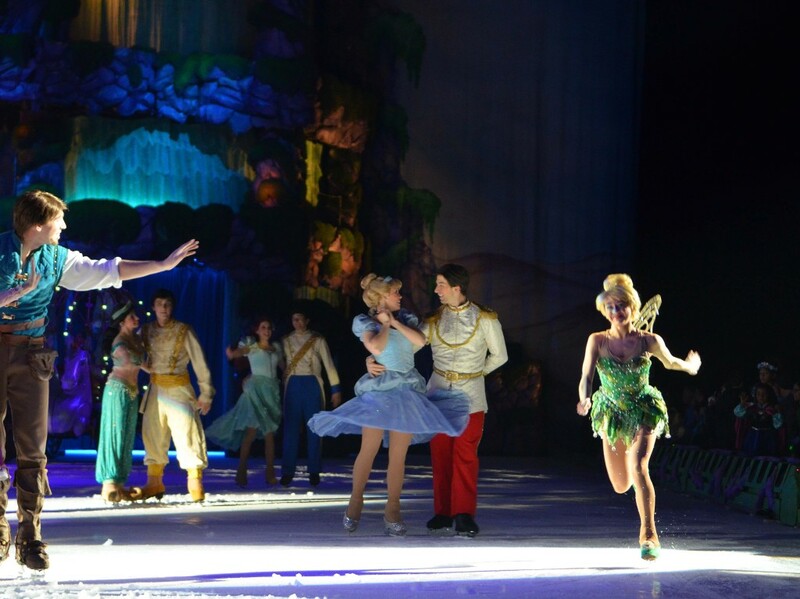 Find a venue in your area and purchase tickets on the Disney On Ice Website. Tickets were provided to facilitate this post. Content and opinions, as always, are my own. 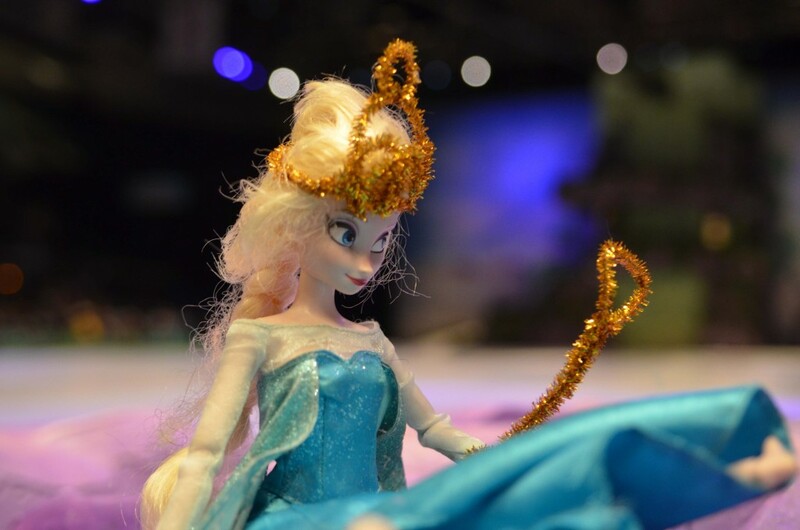 Do you have Disney Frozen and Disney character super fans in your home like we do? 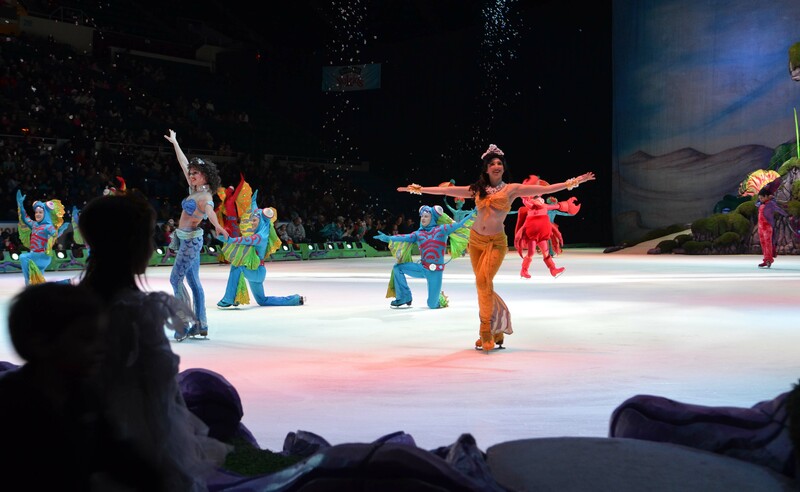 The Disney on Ice magic is coming back to New York, in an exciting, new production – Disney On Ice Presents Princesses & Heroes – presented by Stonyfield YoKids Organic Yogurt. The royal sister duo, Anna and Elsa, will be taking center stage with their buddy Olaf, alongside eight other Disney Princesses (Ariel, Belle, Cinderella, Rapunzel, Tiana, Jasmine, Aurora and Snow White). The magic of Tinker’s Bell’s pixie dust will play a special role through a winter wonderland joining Kristoff and friends. Aladdin and several princes will join in the excitement taking on Maleficent, Ursula and other surprises. 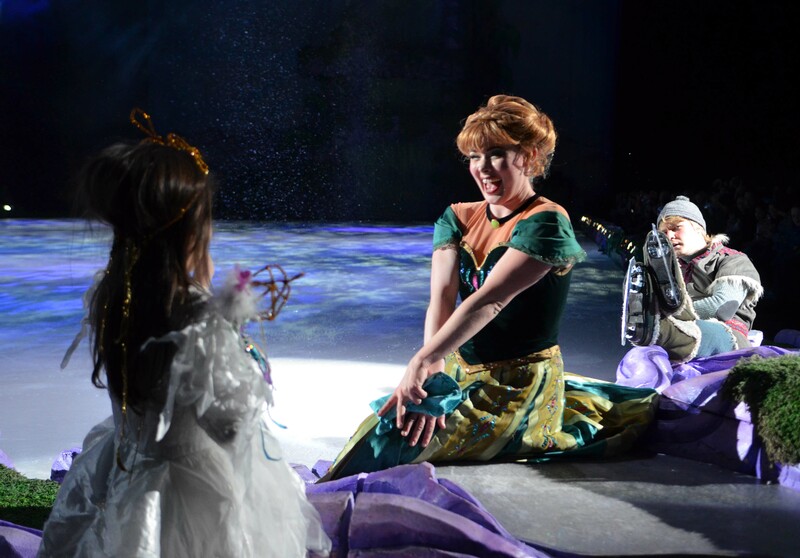 As in true Disney fashion, the Disney on Ice performances are memorizing and are often pretty emotional for the parents (this one included). It’s a true treat to witness this particular kind of excitement as stories unfold through little one’s eyes – while taking in incredible choreography, acrobatics, and artistic skating. Inside the razzle and dazzle of a magnificent arena, with special effects and stunning set designs. Instagram share from the last Disney On Ice Show. 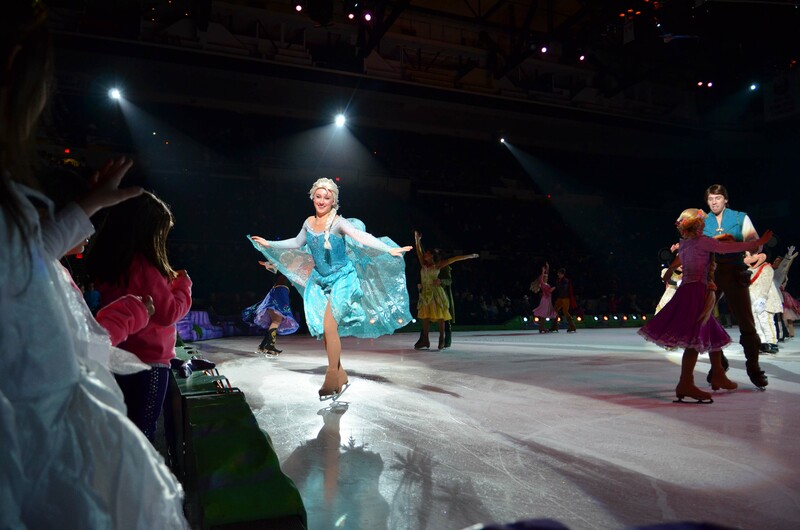 Catch Disney On Ice Presents Princesses & Heroes at Nassau Coliseum from Jan 8 through Jan 11th, 2014 and learn about other participating venues on the Disney On Ice Website. Thursday, Jan 8, 2015 at 7:00 P.M.
Friday, Jan 9, 2015 at 7:00 P.M.
Saturday, Jan 10, 2015 at 11:00 A.M., 3:00 P.M. and 7:00 P.M.
Sunday, Jan 11, 2015 at 1:00 P.M. and 5:00 P.M.
*Please note that ticket pricing is subject to change based on market demand. WIN IT: Disney on Ice is offering an exciting giveaway of a family four-pack of tickets for Opening Night at Nassau Coliseum, on Thursday, January, 8th at 7:00 p.m (ticket dates are non-transferable). Winner must provide their name, and tickets will be issued at the box office (with I.D.) the evening of the show. Disney is not a sponsor, endorser or administrator of this giveaway. Enter via the below widget – a winner will be selected next week. Good luck to all! This post is in partnership with Disney on Ice. 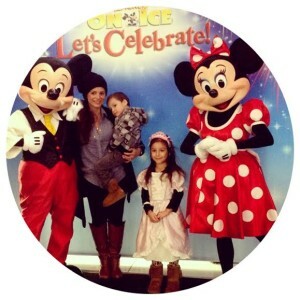 After experiencing our first family trip to Disney world last month – we were extremely excited to revisit Disney magic here in NYC, at Disney On Ice: 100 Years of Magic’s opening night at the Barclays Center. As previously mentioned, the true joy in this performance is watching little eyes experience their favorite characters come to life in the most sensational ways. Over 65 characters from 18 different beloved Disney stories captivated Lucia and Adrian for the entire performance duration. Viewers were treated to action packed moments from The Lion King, and Disney/Pixar’s Finding Nemo, Toy Story and The Incredibles films. Little ones went crazy for Aladdin and his army of Genies, and the elaborate costumes in the Finding Nemo set. Lucia and Adrian were both excited to see glimpses of many Disney princesses, and we all loved the spirit in the It’s a Small World scene. The finale incorporated all of the performers (and fireworks!) – it was truly unforgettable. 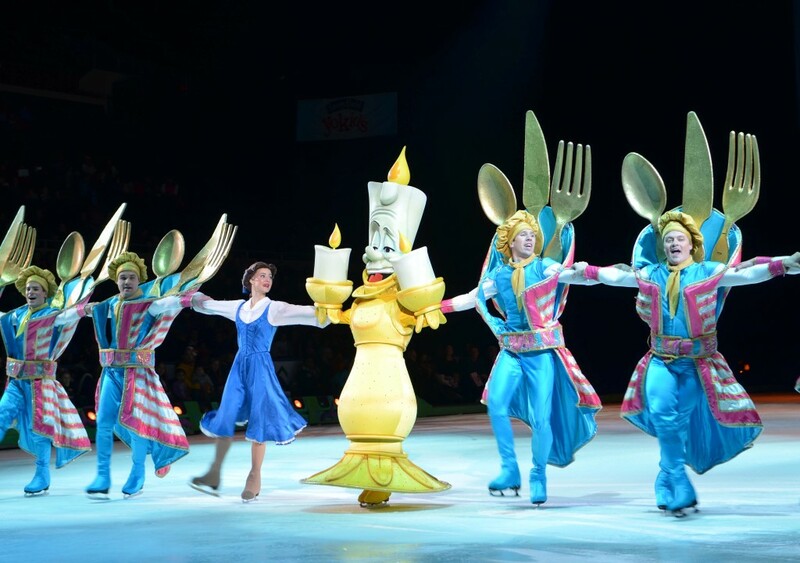 Disney On Ice Celebrates 100 Years Of Magic is a brilliantly executed delight. The skating is phenomenal, the costumes are exquisite, and the stories are mesmerizing. As in all Disney shows, the special effects and beautiful sets inject a truly magical element. My family is grateful for another magical Disney moment right here in New York City. 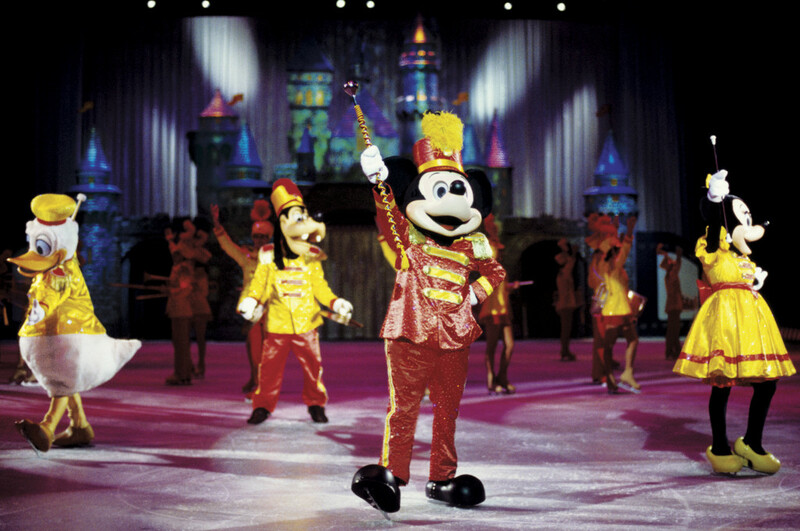 To Discover more about Disney on Ice, visit www.disneyonice.com. 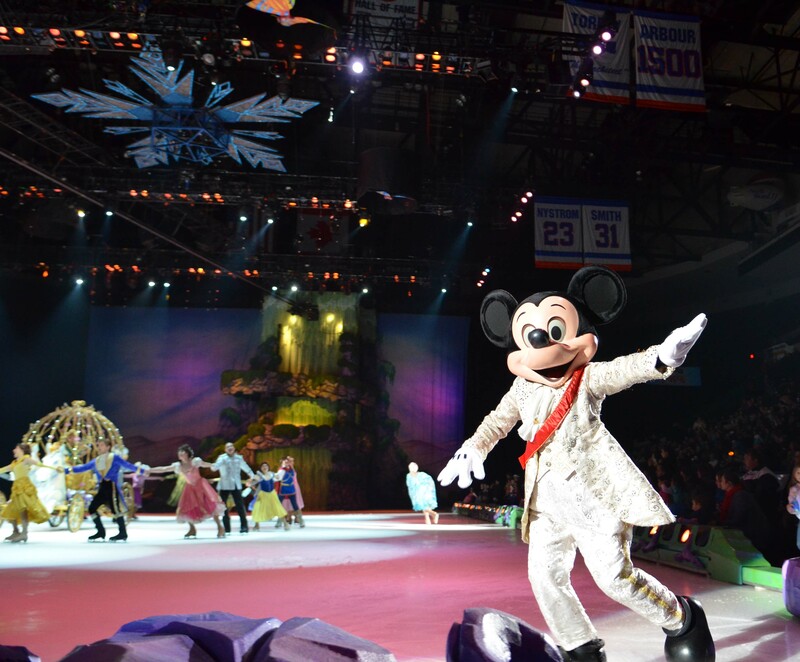 Disney On Ice: Let’s Celebrate opened at the Barclays Center on Tuesday evening. My family was lucky enough to be in attendance. I somehow managed to contain my big secret as the kiddos guessed where we were going for the duration of our ride into Brooklyn. Their hopes of swimming, bracelet making, ice cream eating, library visiting and even venturing to Alaska were topped when we were greeted by Mickey and Minnie at a little blogger meet and greet. The timing was serendipitous – we’re surprising our kids with their first trip to Disney World very soon! The true joy in this performance was watching it through the eyes of our children. 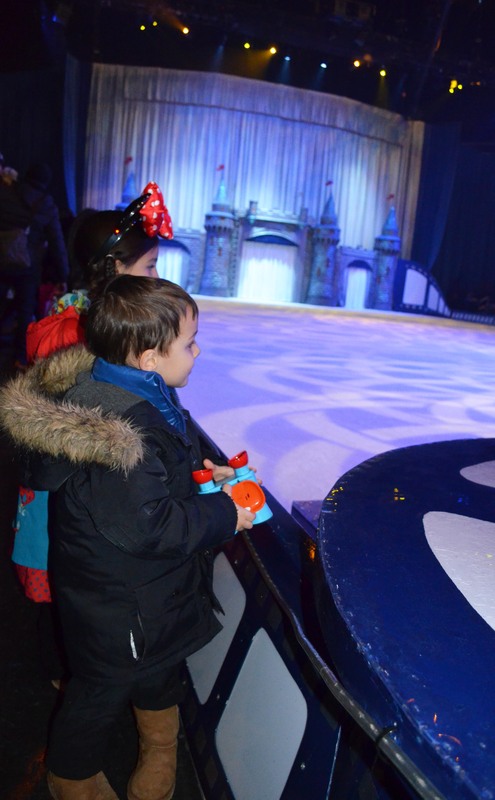 It was our first Disney on Ice experience and our little ones were exploding with excitement as they watched their favorite Disney characters come to life. 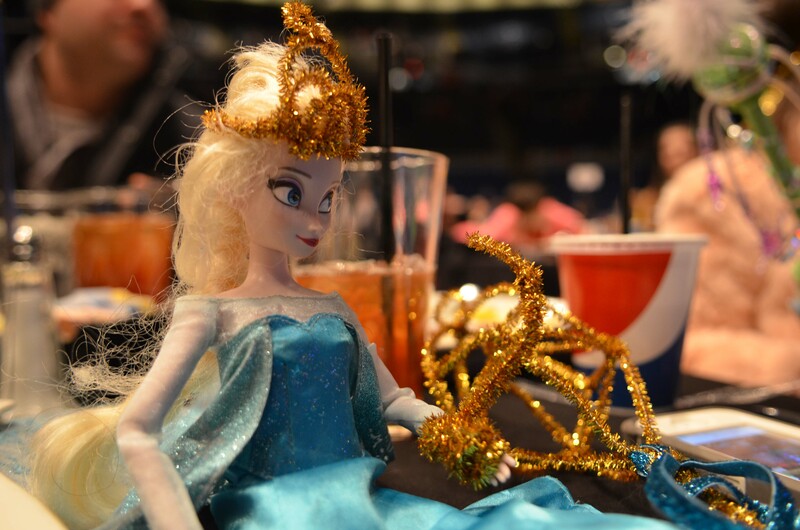 It truly is an action-packed colossal ice party featuring tons of characters, mesmerizing visual-effects, brilliant costumes and of course impressive skating. The show features an entire calendar year of celebrations and an exotic world tour. Viewers are treated to a very merry unbirthday party featuring Alice and crew, a Halloween hunt with the Disney Villains, a royal ball with the Disney Princesses, a winter wonderland with Mickey and Minnie and so much more. I naturally loved the Hawaiian Luau (I once lived there! ), and we all loved the Japanese Cherry Blossom festival. The kids were giddy for the duration of the show. The Disney Princesses, including a stunning performance by Jasmine and Aladdin were among the highlights for Lucia. The crowd went absolutely wild for Buzz Light Year and friends, and so did our little Adrian. I’m still imagining our kiddos excitement (way past their bedtime), and am thankful for a glimpse of Disney magic here in New York City. I arrived home to an incredibly heartfelt email from my giveaway winner, which really gave me the push to continue on with this space. I think that we both went to sleep that night with lasting Disney family memories, and for that I am grateful. Press tickets were provided, however, as always, opinions are strictly my own. 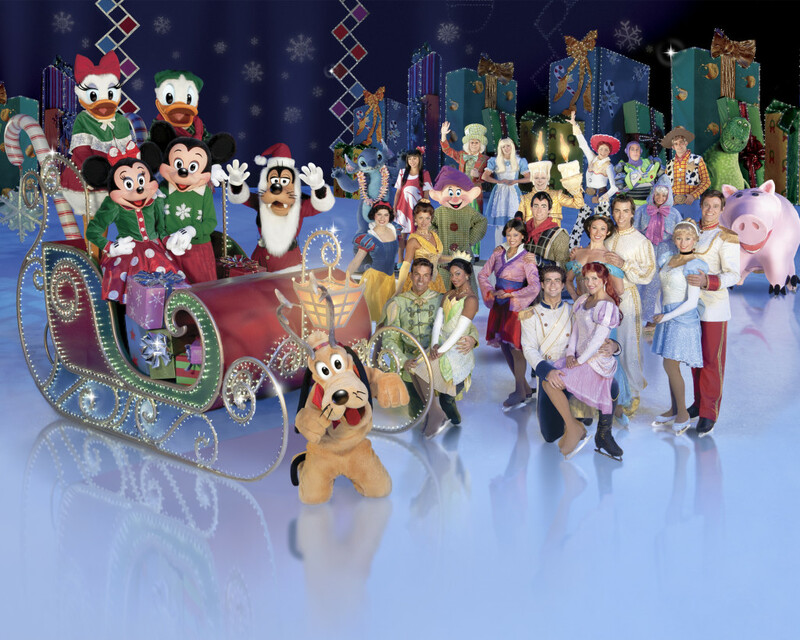 Next month, more than 50 Disney characters are making their way to NYC for a colossal party on ice, when Disney On Ice presents Let‘s Celebrate! I can’t wait to take my own children to see this action-packed show, and am already imaging their excitement as they take in a magical montage of Disney celebrations. Some highlights of this all-new production include a Very Merry Unbirthday Party with Alice, Mad Hatter, Mickey and Minnie; a Royal Valentine’s Day Ball with the Disney Princesses; a Hawaiian Luao with Lilo and Stitch; a winter wonderland featuring Buzz Lightyear, Woody and Jessie; a Halloween feature with the Disney Villains and so much more! This memorable show is coming to the NY/NJ area with performances at the Nassau Coliseum, the Barclays Center, the Prudential Center and the Izod Center. 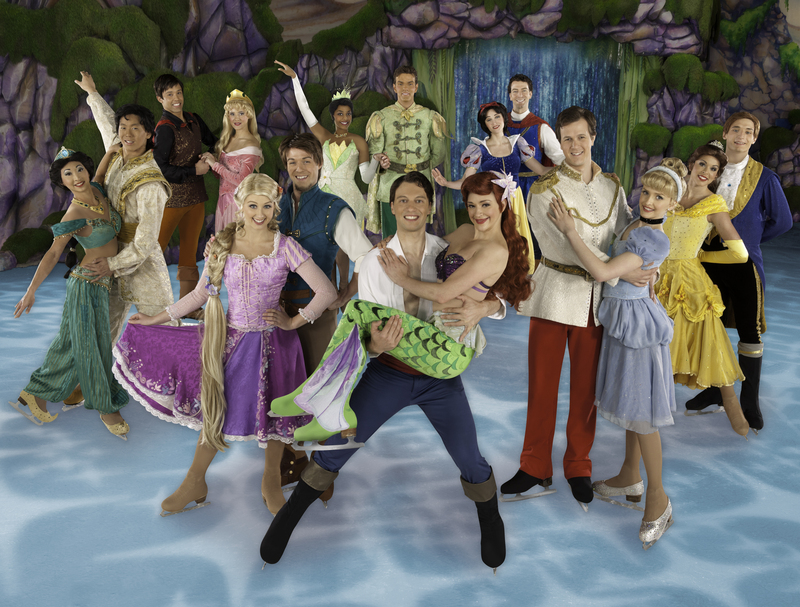 For tickets, show times and other information visit disneyonice.com. Also look out for my upcoming review! Win It: I’m giving away a family 4-pack on tickets to opening night at the Barclays Center (Tuesday, November 12th at 7 pm) to one lucky winner. To Enter: Simply leave a comment below sharing a Disney-character memory. A winner will be selected via random.org on October 23rd. Best of luck and thanks for visiting. My family received tickets to Disney on Ice. As always, opinions are strictly my own.